Home All Articles What are Europeans protesting about? What are Europeans protesting about? Demonstrations making waves across Europe suggests disillusionment and a pushback against the political status quo. France’s iconic yellow vest protests are just one of many European movements that reflect people’s growing disenchantment with their governments. Here is a look at what people are upset about. France’s yellow vest protesters encompass people across the political right and left. What unites this leaderless group is the sentiment that President Emmanuel Macron and his government are out of touch with ordinary people in provincial France. 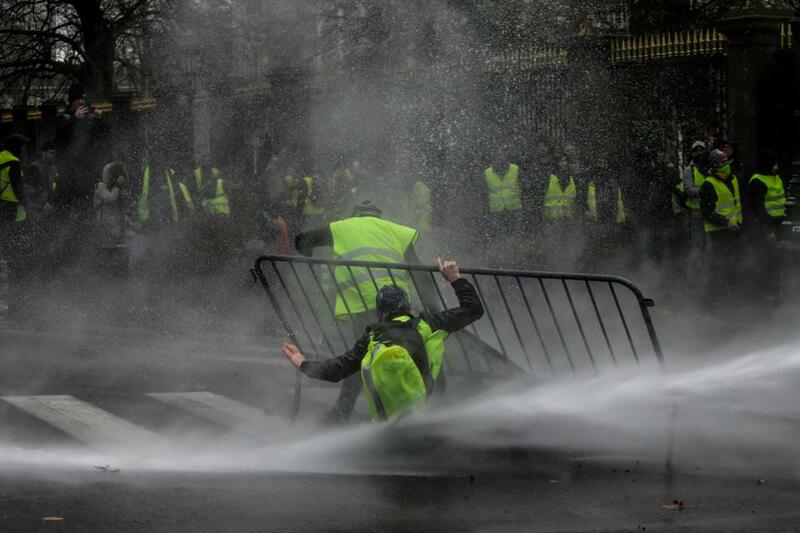 The protests initially began in objection to tax hikes on the price of fuel but have since spiralled into a mass movement against ex-banker Macron. The protesters overwhelmingly hail from rural and small-town France but have different goals that range from lower taxes to Macron’s resignation. 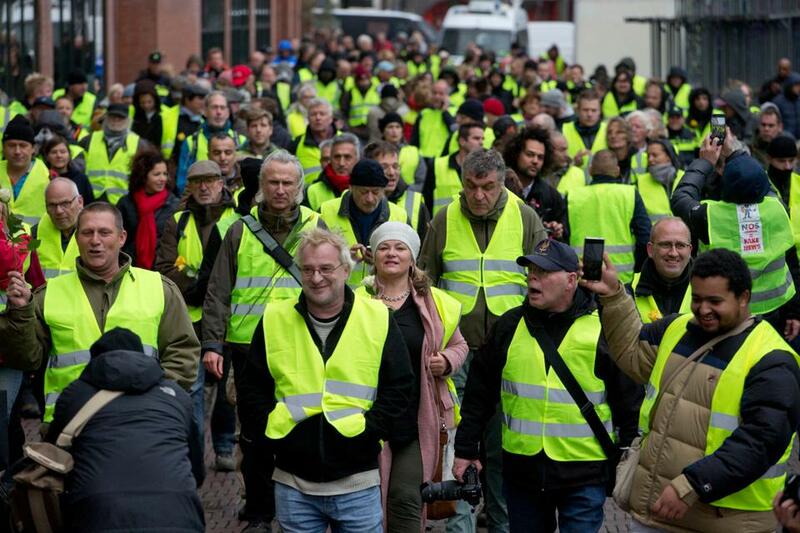 Anyone donning a “gilet jaune” can join the protests, becoming a unifying symbol and equaliser in a disparate movement. The discontentment bubbling in France appears to have spilled over into neighbouring Belgium as yellow vests have also thronged the streets of Brussels. These protesters appear to hail in part from a populist movement that is angry at government policy in general. It also appears to highlight a widening gulf between mainstream politicians and the voters who put them in power. However, Belgium’s yellow vest movement has spelled out on Facebook a list of demands to the government. Alongside more radical demands, such as seeking the resignation of Prime Minister Charles Michel, the people want lower electricity and water costs, referendums to be held over new legislation, lower retirement ages and higher pension pages. In Hungary, protesters are rallying against a proposed new labour law that has been dubbed by critics as a “slave law” largely due to the fact that it allows employers to ask for up to 400 hours of overtime work per year. This modification to the labour code that was submitted to parliament last week has sparked criticism. It could potentially add two extra hours to a Hungarian’s average work day, or an extra workday a week. Hungary has also become a country of cheap labour and citizens are unhappy with this. In the past few years, German luxury automobile industries have located factories to Hungary. Critics speculate that lobby groups working on behalf of these industries have pushed for the increase in overtime flexibility to maximise production. Hungarians have been unhappy with Prime Minister Viktor Orban for a while now. The last move that struck a nerve was a planned tax on internet data traffic. It was abandoned in late 2014 after tens of thousands of people marched against it. Then there is the discontentment that Italians feel with the way they are being treated by the European Union (EU). Since the League and the anti-establishment Five Star party formed a coalition government, Italy’s economy has gone into reverse. The new administration’s big-spending budget plans have prompted fears of another banking crisis. A new budget submitted to the EU promises to lower the retirement age and introduce income support. The European Commission has rejected the package, saying it will not cut Italy’s large public debt as the rules require, and has warned it could discipline Rome unless changes are made. On Saturday, Italian Deputy Prime Minister Matteo Salvini filled one of Rome’s main squares with tens of thousands of flag-waving supporters in a rally that underscored the growing dominance of his rightist League party. Salvini told the cheering crowds he would honour promises to boost state spending, warning that austerity would only fuel the sort of violence that has rocked neighbouring France. The League party organised a demonstration in the capital’s Piazza del Popolo (People’s Square), with the slogans such as: “Italians first!” and “Italy, rise again!”. In Amsterdam this weekend, dozens of protesters walked peacefully through the streets, singing and laughing – a stark contrast to what was happening in Paris. Jan Dijkgraaf, the editor of a Dutch “resistance newspaper” had called for peaceful protests in Amsterdam and Rotterdam. Dijkgraaf said people are yearning for a past, more socially equitable, era of Dutch history, describing it as “a feeling of unity, but also looking after asylum-seekers well, taking good care of one another”. Other protesters appear more extreme — at a small and non-violent rally last week in the Hague one protester waved a historic Dutch flag that has become an emblem for the far right. “Our children are hard-working people but they have to pay taxes everywhere. You can’t get housing anymore. It is not going well in Dutch society,” protester Ieneke Lambermont said. “The social welfare net we grew up with is gone,” she added. On the other hand, Poles this weekend rallied for stronger measures to combat climate change outside a UN climate change summit in Katowice. China planning rail link to the US? Global Terrorism Destroying the Humanity: How to Change the Future?